Description: 4 bedroom end of terrace Period Residence for Auction on Thursday, 5th November 2015 (unless previously sold). 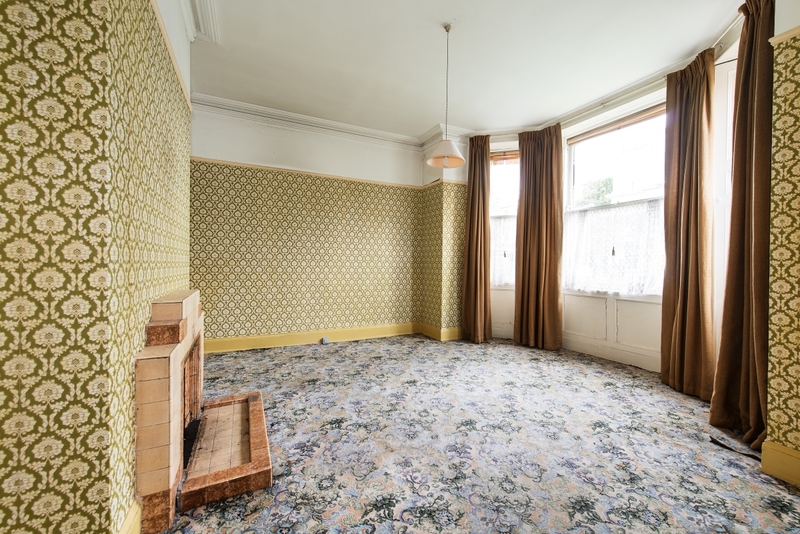 On view Sat 10th October 12 to 1 p.m.
Finnegan Menton are proud to present this 4 bedroom end of terrace period residence in need of modernisation. 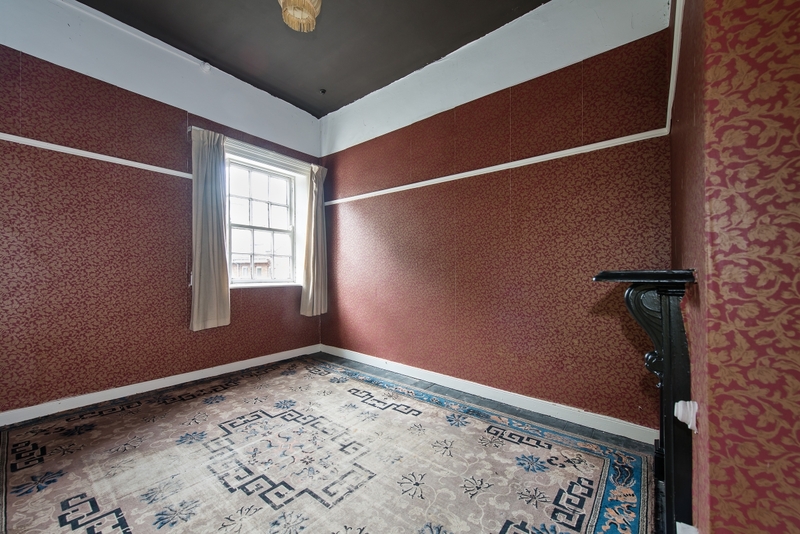 This Victorian home was built circa 1886 and it retains all its original features to include elegant red brick exterior, solid timber staircase, open fireplaces in most rooms, decorative coving, sash windows, rear lane access, iron railed front garden, to name but a few. 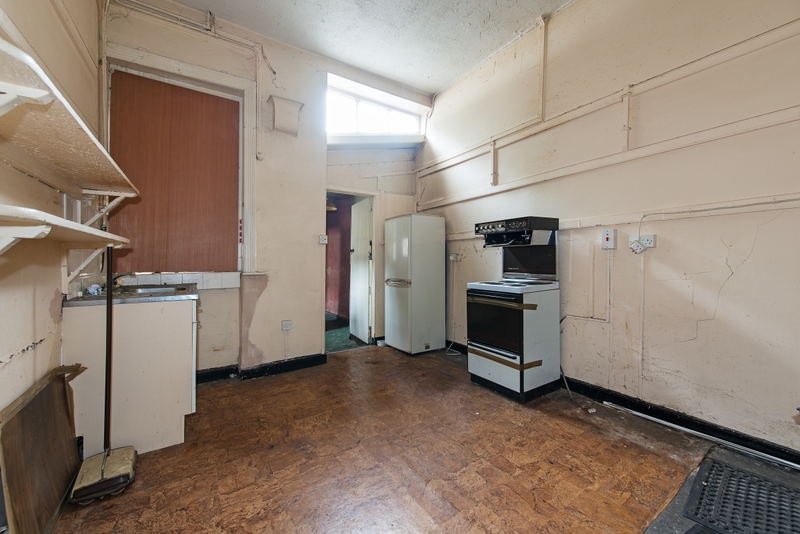 Accommodation includes two reception rooms, kitchen, utility, bathroom and four bedrooms. This house is located beside the Grand Canal and Harcourt Street Garda Station on a small cul de sac of elegant Victorian houses and offices. 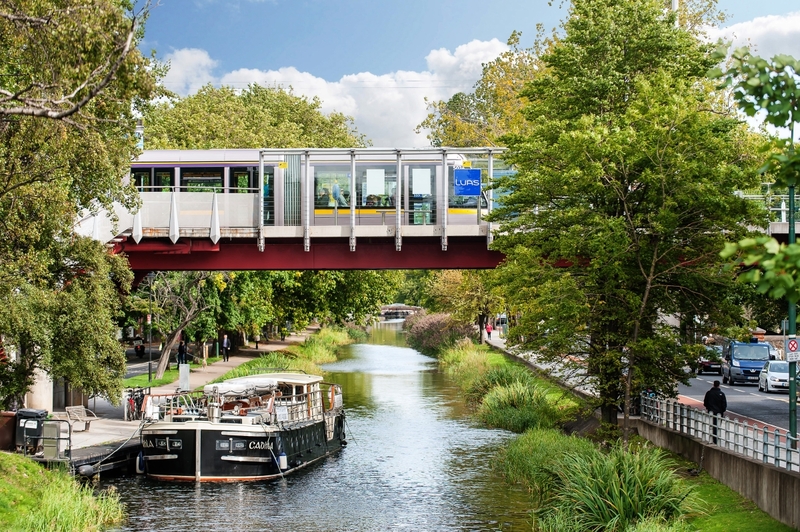 The house is within a one minute walk from the Charlemont Luas Station. Viewing highly recommended. 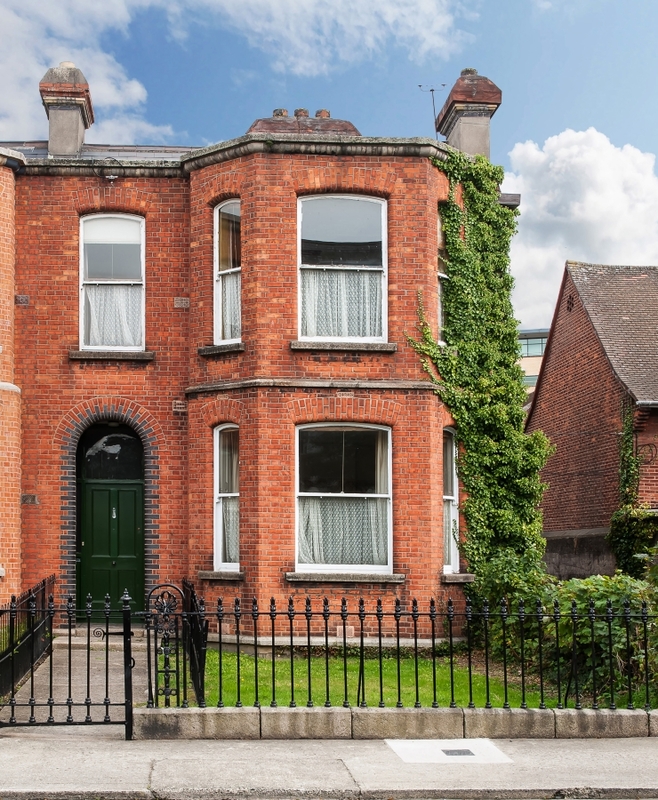 17 Harcourt Terrace is an elegant road nestled between Adelaide Road and Charlemont Place and next door to Harcourt Street Garda Station and the Grand Canal. Harcourt Terrace is within easy walking distance of Grafton Street, St. Stephens Green, Iveagh Gardens and Fitzwilliam Square. 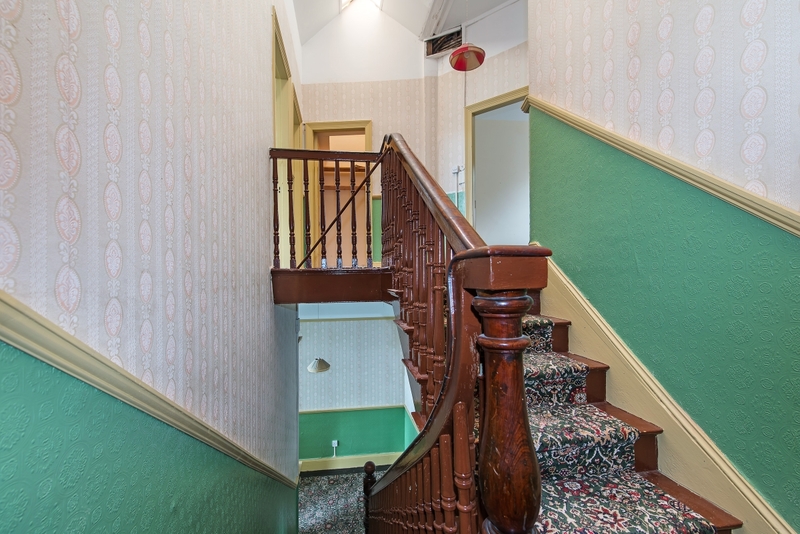 Beautiful original staircase in good condition, L-shaped entrance hall with original coving, timber floor, ceiling height 3.3m / 11ft, red brick entrance storm porch with original decorative floor tiles. Generous living room, original sash window with timber window shutters, open fireplace, original decorative coving, ceiling height 3.3m / 11ft, bay window c.3.4m x c.1m. Original cast iron range, ceiling height 3.3m / 11ft. Back door exit onto patio area / yard. Back door exit unto garden area. Open fireplace with timber surround, original coving, ceiling height 3.3m / 11ft. Current layout out as a ground floor bedroom with a showroom ensuite bathroom. Large hotpress and store under the main stairs, there is a trapdoor hatch to under the house. Open fireplace with timber surround. Bay window: c.3.43 x c.0.72m, original coving, attic hatch, 3.3m / 11ft ceiling height. Open fireplace, high ceiling height 3.3m / 11ft. Open fireplace, ceiling height 3.3m / 11ft. Timber floor, open fireplace with cast iron surround, ceiling height 3.3m / 11ft, attic hatch. Bathroom suite comprises wc, whb and bath. Large landing with apex roof light makes this house very bright with the high ceiling. · Fantastic location on prestigious road. 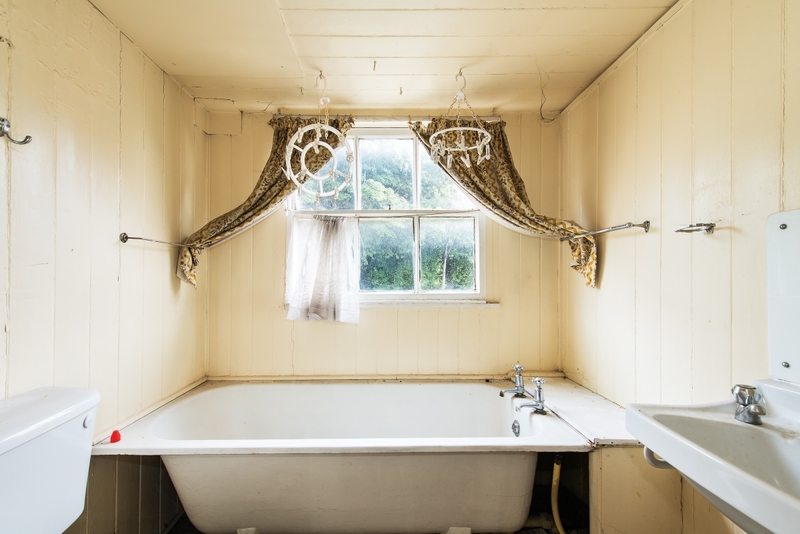 · Original house untouched by time. · High ceiling heights throughout house of 3.3m / 11ft. · All bedrooms and living rooms have open fireplaces. 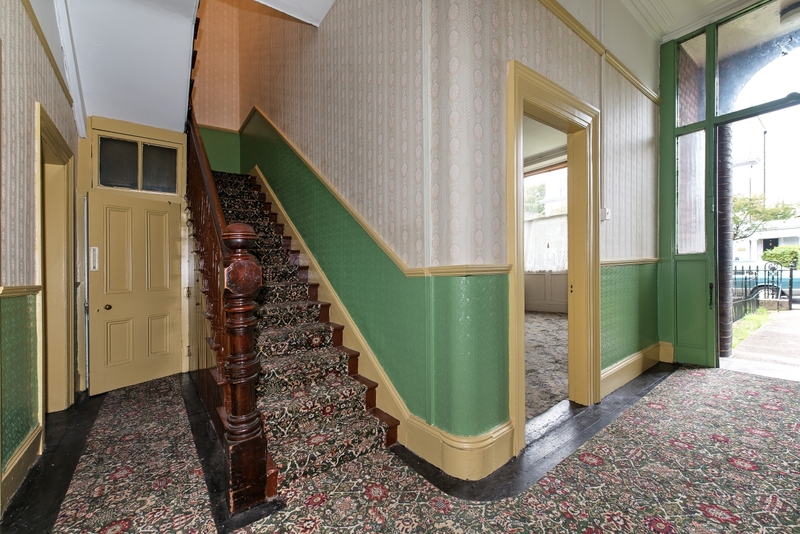 · Beautiful staircase and original doors and skirting are in good condition. · Small cul de sac of beautiful homes on Harcourt Terrace. · Beside the Grand Canal and Charlemont Luas Stop. · Central city centre location. · 5 minutes walk to Grafton Street. · Original sash windows and shutters. · Good sized attic space. · Easterly facing rear garden. · Bright house due to large windows. 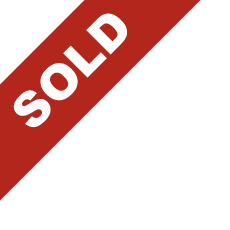 · Total site area c.0.024ha. · Wayleave access to side and rear of property. Rear yard patio area: c.3.3m x c.7.1m / c.11ft x c.24ft.